Reach, the publisher of the Daily Mirror and Daily Express, is to join News UK, Telegraph Media Group and Guardian Media Group as a founding investor in The Ozone Project. Reach’s decision to become a partner in The Ozone Project, a digital display ad sales and audience data platform, will add scale and should increase its appeal to advertisers and agencies. The Ozone Project has positioned itself as a single sales point for newspapers' digital ad inventory, making it easier for advertisers to buy and offering a "premium, fraud-free and brand-safe" alternative to Google and Facebook. The four publishers claim their joint platform will now reach a potential monthly UK audience of 42.5m, putting it on a par with Facebook, according to ComScore data. 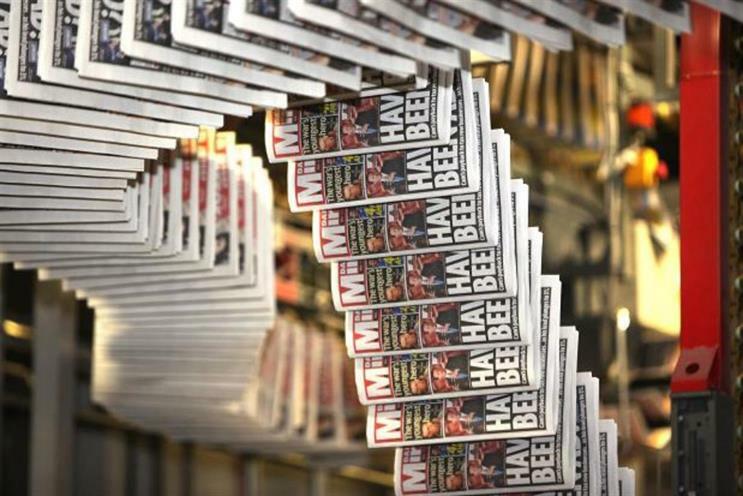 Reach will bring 60 titles, including the Daily Mirror, Daily Express, Daily Star, Daily Record, dozens of regional news sites such as the Manchester Evening News and magazines such as OK!, to The Ozone Project. Until now, only four national newspaper titles, The Sun and The Times from News UK and the Daily Telegraph and The Guardian, have been involved in the platform. Reach will take a 25% stake in The Ozone Project as a founding partner alongside the three other publishers, who announced their intention to launch at Cannes Lions in June. Andy Atkinson, chief revenue officer of Reach, said: "We have long believed and championed the need for publishers to collaborate meaningfully in order to provide brands the ability to reach consumers at scale and effectively and the Ozone Project is a significant, and natural, next step on that journey." Damon Reeve, chief executive of The Ozone Project, said Reach’s involvement was important not only because it will increase scale but also because it shows the initiative has "momentum" and can attract more publishers. "The ambition for the Ozone Project was always for it to be a truly cross-industry initiative and Reach’s involvement underlines this vision," he said. The Ozone Project is having "fairly advanced" talks with a number of other publishers, according to Reeve. He said the platform remains on track to launch later in the autumn, probably in October, and is doing beta testing with a small number of advertisers at the moment. Reeve has been focused on recruiting product engineers but is starting to hire commercial people, who will offer a managed, ad sales service or programmatic buying on a self-serve basis. The Ozone Project is also investing in what Reeve calls its own "foundational" technology layer, which should improve transparency as it will mean the publishers can control how advertising appears on their sites, rather than letting ad tech buyers put tags and other code wherever they like. Reach, which changed its name from Trinity Mirror earlier this year, previously discussed pooling its print and digital ad sales with the other publishers in 2016. The ambitious talks, called Project Juno, foundered after several groups, including Trinity Mirror and DMG Media, the owner of the Daily Mail, pulled out last year. The Ozone Project is less ambitious because it only covers digital display ad sales and all the publishers are still able to sell their own digital inventory themselves. It is thought that Reach waited until it got regulatory approval for its acquisition of Northern & Shell’s titles, which include the Daily Express and Daily Star, in June, before joining The Ozone Project. Collaboration between newspaper publishers would once have been unthinkable because of their historic rivalry, but they have had to respond to tumbling ad revenues as Google and Facebook have gobbled up market share. David Pemsel, the chief executive of Guardian Media Group, says in an interview in the September print edition of Campaign: "The reason why I remain an advocate of presenting ourselves in one place is that it’s what our clients and agencies are asking for." Enders Analysis said in a recent note that "the case for Ozone is a no-brainer" and is likely to have "a positive impact" on news brands. However, Enders warned that The Ozone Project could struggle if agencies and advertisers do not embrace it and the "education of agency planners" to demonstrate effectiveness and return on investment will be important. The quality of audience data, which varies because some publishers have paywalls and others do not, and the "definition of quality media", which ranges from broadsheet to red-top, could also cause problems, according to Enders' note.